Marine biologiests, conservationists, divers, and hobbyists, are fighting the good fight against the voracious lionfish (Pterois volitans) which have invaded the Atlantic Ocean – from Florida, to Rhode Island, to the Caribbean. 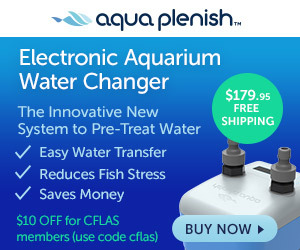 But questions persist about how the fish – which are native to the Pacific Ocean – ended up in Atlantic waters. In 1995, in the Newsletter of the Introduced Fish Section, a publication of the American Fisheries Society, Walter Courtenay – a fisheries biologist and professor emeritus at Florida Atlantic University in Boca Raton, Florida – suggested a link between Hurricane Andrew as a possible culprit. It was just days after the 1992 hurricane made landfall that an informant to Courtenay told him about “six to eight lionfish” had been spotted alive in Florida's Biscayne Bay. They were thought to have escaped after Andrew destroyed their large aquarium which was located on a seawall at the edge of the bay. Nearly a decade later, Courtenay says he would like to “put this idea to rest”. It was second-hand information, which unfortunately continues to spread, so that Andrew is often mentioned as the reason for the catastrophic lionfish invasion. Courtenay explained that he published the report because he wanted people to keep an eye out for the lionfish, and to track their spread if they successfully established a breeding population – but he never received a report about any additional sightings. He now believes it unlikely that this event – if it happened – led to the current invasion. While diving with Coast Watch Alliance in the last Gulf Coast Lionfish Coalition derby in Pensacola, Florida, Alex Fogg filmed the above video as he came across a reef that had a high density of lionfish present. His group determined that this site was in fact an upside down sunken Airplane. In the northern Gulf of Mexico, we see some of the highest densities of lionfish reported. Due to lack of air and bottom time, we needed to return on a different day. Our combined total [removed] was more than 200 lionfish. James Morris Jr., an ecologist with the National Oceanic and Atmospheric Administration's (NOAA) Center for Coastal Fisheries and Habitat Research in Beaufort, North Carolina, cited that the first record of a lionfish being caught off the Atlantic coast took place in 1985 in Dania, Florida, just north of Miami. 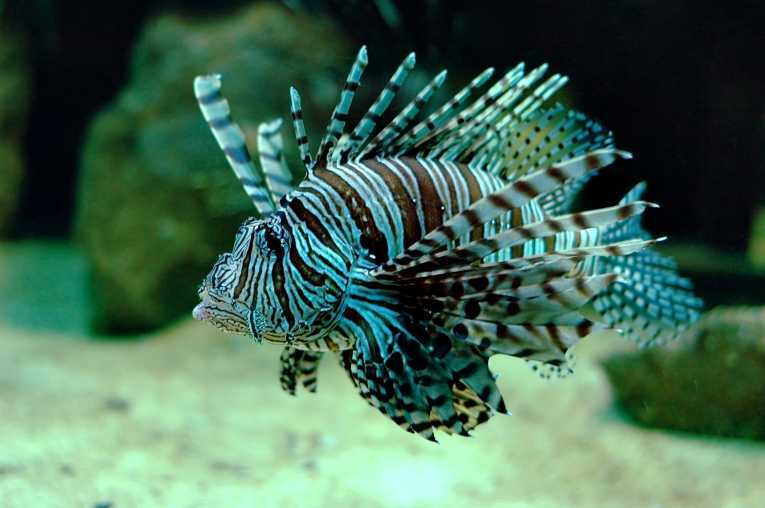 The most likely vector for all the invading lionfish was someone – or even several people – in the aquarium trade, releasing the fish – and possibly eggs – into the wild. Dr. Zack Jud, a marine ecologist, has spent years focusing his research on human disturbance in coastal ecosystems. Much of his research has been carried out on the Indian River Lagoon and its tributaries. In 2010, Jud discovered the first estuarine invasion by lionfish in the Western Hemisphere. The venom-spined predators from the Indo-Pacific have taken up an unwelcome residence throughout the Western Atlantic, Gulf of Mexico and the Caribbean. Ever-growing populations of lionfish pose a potential risk to our native ecosystems. Scientific research into the invasion has expanded at a rapid pace, much of which has been aimed at identifying how lionfish initially got into our waters, why they have been so successful here, what effect they are having on our native species and what, if anything, can be done to stem their spread. As hobbyists, perhaps the worst thing we can do is release non-native species into the wild. It is our duty to educate fellow hobbyists of all ages against doing so, in order to preserve our hobby – and our environment – for future generations.